Accounting, bookkeeping, tax preparation, and other financial jobs can be done from home. You just need to find the right outlets for them, and make sure you have plenty of experience so you can hold your own. While many work-at-home jobs lend themselves to those with a background in sales or customer service, some people with a very specific work background may wish to continue in their field while also working from home. Those looking for work in the financial industry will find they have many options to choose from in the search for a work-at-home job. AccountingDepartment.com hires certified public accountants with five years of experience to fill work-from-home positions. Intuit is a well-known finance company that owns Quicken, QuickBooks, Turbotax and Mint.com. The Turbotax division hires certified public accountants for their remote tax advisor positions. Agents offer support for the Turbotax products via email, phone, and chat. BidaWiz is an online service that allows users to ask questions from certified experts in the tax and financial industry. The company offers a way for accountants to earn extra money by answering questions submitted by others. Accountants and tax experts should have a CPA and all finance professionals should have either a CFA or CFP. TAD Accounting offers professional accounting services through their web-based platform. The company hires accountants to work remotely as needed for clients. 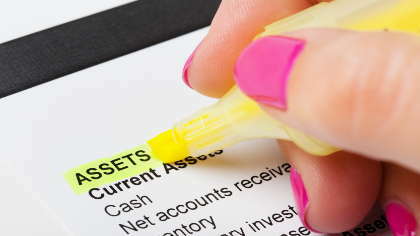 Bookkeeping and accounting services are offered through CPAs with VirtualAccountants.com. The company hires for these virtual accounting positions when available. Starting a home accounting business is another option. AccountingDepartment.com also hires virtual bookkeepers with three or more years of full-charge bookkeeping experience. ClickAccounts outsources both accounting and bookkeeping services using remote contractors. The company works with small to mid-size companies. If interested, submit your resume on their website. Another option for those with past bookkeeping experience is to start a home business. Those with a background in the financial industry may have the expertise to start a career as a financial writer, even without any past writing experience. Check with sites like BankingRates.com, Simple Dollar, and Wisebread. Want a financial writing job but can not seem to get a foot in the door? Start a financial blog of your own. Not only can this help build a portfolio of writing samples that can be used to apply for future jobs, but it can also earn you money on the side. Actuary jobs offer an additional option for those looking for work-at-home jobs in the financial industry. An actuary analyzes financial risk for a business. Many companies hire actuaries with some of these positions being remote. Actuary.com is another way to find actuarial jobs that may be available within the financial industry. Starting a home business can be a great way to do exactly what you want to do while also working from home. Other home business options in the financial sector include financial advisors, financial planning, and loan officers. Financial experts who decide to trade in their traditional job for a home office should evaluate their areas of expertise and consider what type of work-at-home job or home business would be the best fit for them.